An estimated 250,000 liters (66,000 gallons) of crude spilled from the SeaRose FPSO, a floating production, storage and offloading vessel, in the White Rose oil and gas field off the coast of Newfoundland, Canada. Husky Energy, the operator responsible, said the spill happened on Friday when the SeaRose FPSO "experienced a loss of pressure" in an oil flowline, according to the Canadian Press. A powerful explosion at Husky Energy's oil refinery in Superior, Wisconsin sparked a massive fire and injured multiple people on Thursday. 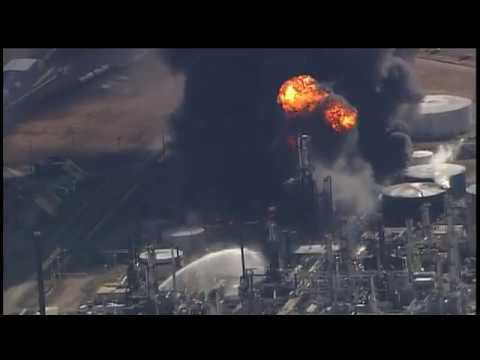 The blast sent thick, dark smoke across the city and prompted the evacuation of thousands of residents 10 miles downwind of the refinery, 2 miles to the north, and 3 miles east and west. All Superior schools closed Friday due to the fire.